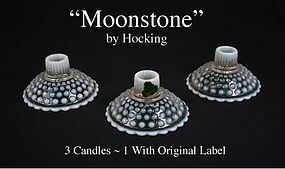 These 3 Moonstone candles are in excellent condition. 1 of them still has the original label on it. All three for 1 money!